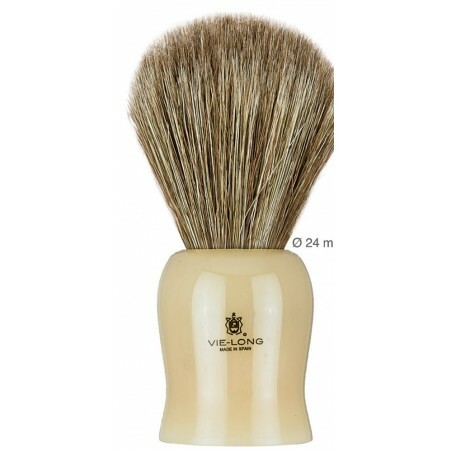 Vie-Long shaving brush 12711 made with natural brown horse hair, not bleached. 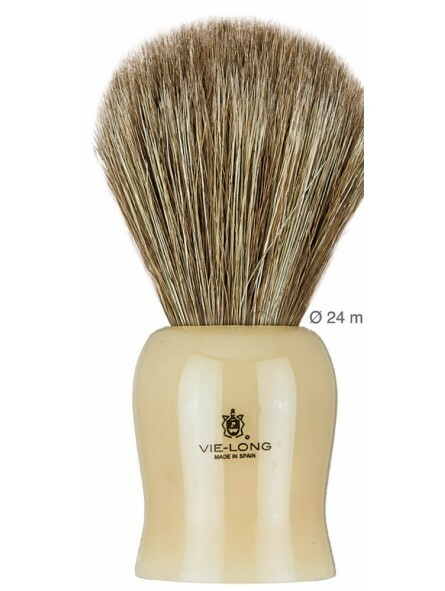 An excellent combination of firm hair and soft tips thanks to a dedicated process that Vie-Long applies to the tips. Horse hair allows very good water retention. Offer with an comfortable caramel color handle.